The man who commissioned the controversial K2 transparency report has warned Australia may want to consider running the magnifying glass over its media agencies, after ex-FBI investigators found media rebates, credits and value bank practices were “pervasive” in the United States. Liodice: marketers around the world should be looking at lessons from K2 report. Overnight the ANA, the US advertiser association, released a highly anticipated report which claimed the industry faces “systemic non-transparent business practices” in terms of media owners providing “kick backs” to agencies and accusing top media agency executives aware of and in some instances mandating them. Both the Australian Association of National Advertisers and Media Federation of Australia have pledged to review the report’s findings. In an interview, CEO of the US Advertiser Association Bob Liodice told Mumbrella: “If countries are as lacking in transparency as the US market was then yes, perhaps (Australia) should do a K2 style study. Liodice’s remarks are likely to send a shudder through Australia’s media agency landscape which saw this issue explode in March 2015 after GroupM agency Mediacom was revealed to have not only operated value banks but that it had charged four clients for advertising inventory that should have been passed on at no additional cost. Value banks refers to using inventory given to them either for free, or at a heavily discounted rate, by media companies in return for putting a certain amount of business their way. Clients are often concerned that such payments could be influencing the recommendations made by agencies on where to spend their money. In Australia, Dentsu Aegis, IPG Mediabrands, Omnicom and Publicis Media holding groups have all consistently refused to comment on where they operate value banks. Liodice noted that he could not comment specifically on practices outside the US but urged marketers globally to review K2’s 56 page report. “The lesson every country or organisation needs to learn is the information gleaned about how agencies make money and how marketers are not strong enough in some of their contracts and media management practices,” said Liodice. “There are important lessons to be learned no matter what country you are in. 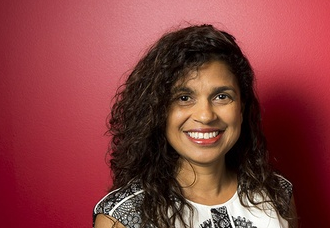 In response to Liodice’s remarks Australian Association of National Advertisers (AANA) CEO Sunita Gloster told Mumbrella that it would be looking closely at the report but was hesitant to “reinvent the wheel”. Gloster: AANA reluctant to reinvent wheel but keen to learn lessons. “Many of the ANA members are also members of the AANA,” said Gloster. Media Federation of Australia CEO Sophie Madden said it was looking at the report but could not comment further until it had reviewed it fully. “The MFA is reviewing the report by the US based Association of National Advertisers and will assess any implications it may have for the Australian market,” said Madden. The US boss said this report was important to global advertising because it “pierced the veil” of non-transparent practices, which K2 alleges in the US includes non-disclosed cash and inventory rebates, media owners paying media agencies to do “research” which disguises payments, major markups on sold inventory, and dual rate cards with the practices occurring across all media. “The ability to puncture the veil of how the business is actually done is kind of eye opening for many,” said Liodice. Asked if he was concerned this report might spark a raft of new global media pitches, similar to what occurred last year in the US with “mediapalooza” Liodice responded: “I can only speak for the US market but I would imagine everyone around the globe should reassess their situation. Liodice also assessed criticisms from the major holding groups about their refusal to ‘name names’ and identify precisely which holding groups were acting unethically. “We are no different to you (a journalist),” he said. “When you do a story you have to protect your sources to get the most information you can relevant to your story. “That was a foundation and a basis for the ANA and K2 extracting as much information as possible so we could pierce the veil of non transparency. The report out of the US highlights again a challenge the Australian advertising and media buying industries have been tackling for some time, namely getting greater transparency in relation to practices around value-extraction. The AANA, which consists primarily of Australia’s leading advertisers, is committed to helping its members address any transparency issues they may be facing with their media advisers. The AANA has made available to its members the World Federation of Advertisers’ best practice guidelines, such as the guide to ‘Obtaining Transparency and Return of Media Income’ and ‘The Guide to Programmatic Media’. Further to that, in November last year, the AANA endorsed the MFA’s ‘Transparency Framework for Agencies and Advertisers’ which was developed in consultation with AANA Members. Matt Tapper, Chair of the AANA said that the framework provided a good guide to help ensure that contract discussions cover the key areas of concern. “Advertisers are ultimately responsible for ensuring they are appropriately equipped to put in place agreements and processes that deliver fair value to all parties involved. The need for transparency in media buying is not a new issue. It is a perennial challenge, one that will only get more complex. New media platforms and technology developments mean new trading arrangements are springing up all the time. This US report is a timely reminder that advertisers cannot be complacent about these conversations,” Mr Tapper said. The AANA will review the findings of this report and the forthcoming ANA recommendations and monitor how the US and other key markets respond. “Any best practice guidelines or initiatives that emerge are likely to have universal application, so we will aim to share them with our members here. Every advertiser’s contractual relationship with its media partner is unique and commercially and competitively sensitive. Individual advertisers therefore have the primary responsibility to ask the right questions of their agency partners so that they can be reassured that there is transparency. The role the AANA can play is to help equip members with the basic framework that is a prerequisite to obtaining transparency,” Ms Sunita Gloster, the AANA’s CEO said. “Whilst the US report reminds advertisers to remain vigilant, it is important that we remember these principles of transparency, disclosure and fairness are central to the reputations of all parties involved. Equally importantly, adherence to these principles is crucial to achieving our common goal which is to show the link between advertising= and business growth. Businesses need to have confidence in the integrity of their media spend allocations,” Ms Gloster said. The MFA is reviewing the report by the US based Association of National Advertisers and will assess any implications it may have for the Australian market. The MFA has worked closely with the AANA through our joint AANA MFA Media Forum Group on the issue of transparency and fairness and this continues to be one of our top priorities. This resulted in the release last year of the MFA Transparency Framework, supported by the AANA. The MFA is unable to comment further until it has fully reviewed the ANA report.